FOR the famed Sarkies brothers to have anything to do with them, hotels in colonial Asia had to be very good indeed – amongst such esteemed places the brothers founded or managed included both Raffles and the Sea View in Singapore, and in Malaysia the Eastern & Oriental in Penang, and the Crag Hotel on Penang Hill. From the 1880s to the early-1930s, the Sarkies were Asia's hoteliers of renown. 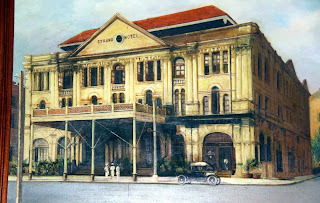 And yet intriguingly, a hotel they owned for 24 years from 1901 and often considered the- then jewel in Asia's crown – more so than even Raffles or the Eastern & Oriental – later slipped most ungracefully from the top of the heap into the pits, becoming little more than a flop-house. 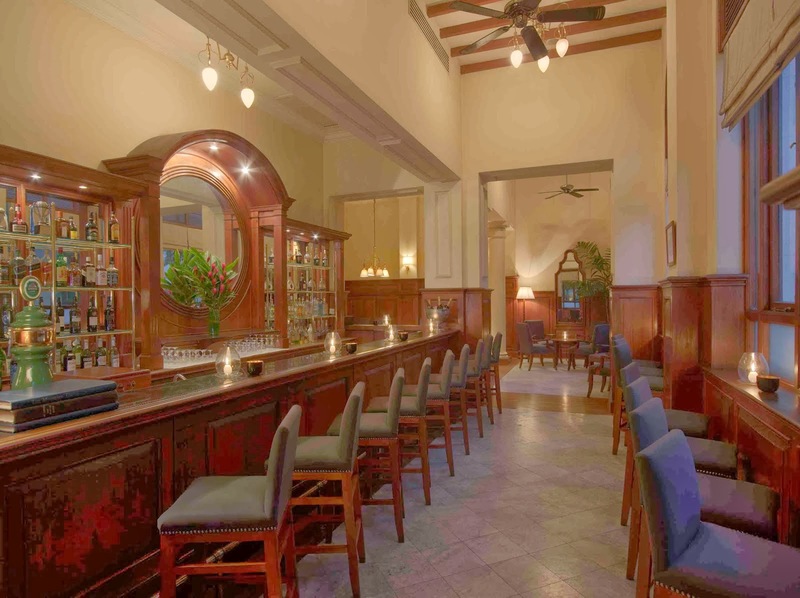 Even its lavish bar that had been the social hub of once-dazzling British colonial life, was reduced to stables for the horses of invading Japanese forces in the 1940s. 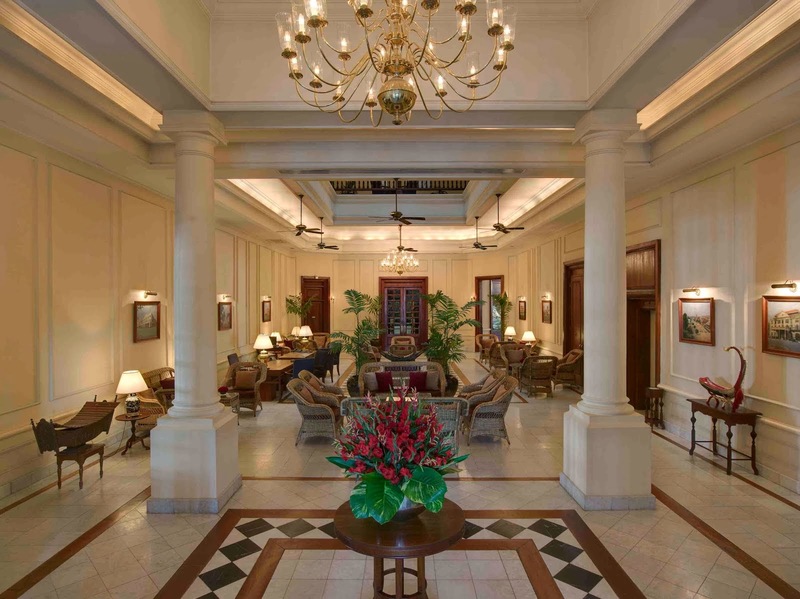 That hotel is The Strand in Yangon in Myanmar – or as many remember it, Rangoon in Burma. And now, having been meticulously restored at a cost of millions of dollars, no visit to Myanmar today is complete without a step into The Strand's once-again unconstrained colonial opulence… be it for a night or two in a vast and luxuriously-appointed suite complete with your own butler on call 24hrs, or to dine in the grandeur of the 1920s and '30s under lofty chandeliered ceilings in the Strand Grill, to take a snack in the Strand Café, or to simply sip on a chilled G&T in the Strand Bar – thankfully now-sans any signs of those horses. And despite the Brits having been tossed-out 66 years ago, to enjoy that most-British of institutions that The Strand still indulges guests in today: English High Tea in the Strand Café complete with scones and jam and cream, petite cakes and mini-sandwiches, and English Breakfast Tea. 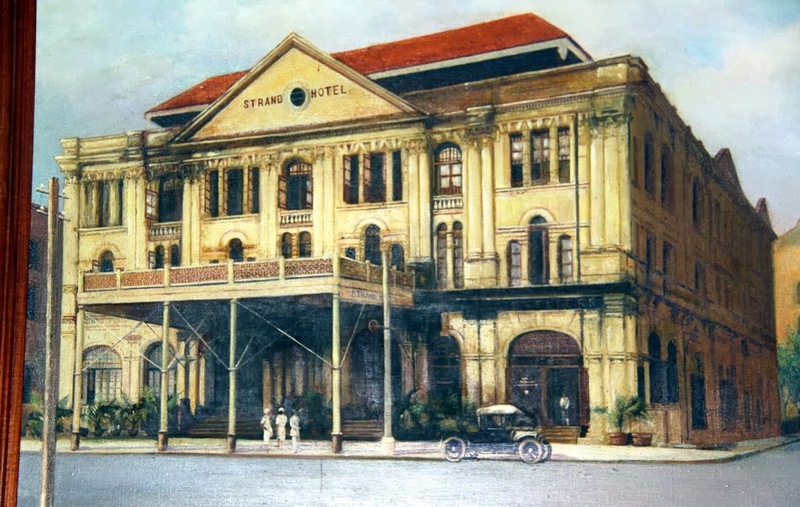 The Strand, built in 1901 by British entrepreneur John Darwood a few steps from Rangoon's steamship wharf, was quickly snapped-up by the Sarkies. And although quite small at just 50-rooms compared with their other major properties, the hotel fast-earned an enviable reputation. The popular British travel publication at the time, Murray's Handbook for Travellers in India, Burma and Ceylon described it as "patronized by royalty, nobility and distinguished personages," and "the finest hostelry east of Suez... one of the most luxurious in the British Empire." And the Sarkies, who had been born in Persia to Armenian parents, imposed strict conditions on just who would be accepted as a guest in their Strand: it would be whites only – a rule that bizarrely lasted through subsequent owners until 1945 when Asian guests were finally allowed into The Strand's hallowed halls for the first time. The Strand continued to flourish after the Sarkies sold it in 1925, but when Japan invaded Burma in 1941 its troops took over the hotel, including stabling their horses in the bar. Later after Burma's independence in 1948 the hotel was virtually neglected, and went through several indifferently-interested owners before being bought 40 years later by a group of Burmese investors who gave it a multi-million dollar refurbishment. 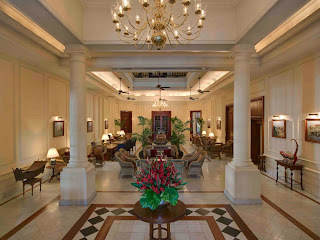 Black-lacquered chandeliers were re-installed in vast high-ceilinged public areas, teak and marble floors taken back to their original colonial glory, hand-made mahogany and colonial-era rattan furnishings re-introduced as in a by-gone age, and the countryside scoured for antique bathroom fittings to match those still surviving in the hotel. The Strand re-opened in 1993 as a once-again treasured national landmark, its 50 rooms reduced into just 30 king-bed suites ranging from 55 to 65 square metres, and with a palatial Strand Suite of 200 square metres. Today its boasts being the only restored colonial hotel in South East Asia to remain true to its architectural past, with no added wings, pools or tennis courts. 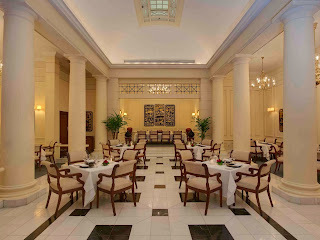 Guests have included Prince Edward, Lord Mountbatten, Peter Ustinov, George Orwell, Rudyard Kipling who penned his Road to Mandalay there, Noel Coward who allegedly was inspired to later write his Mad Dogs and Englishmen Go Out In The Midday Sun… and David Ellis who had English High Tea and wrote this article there. 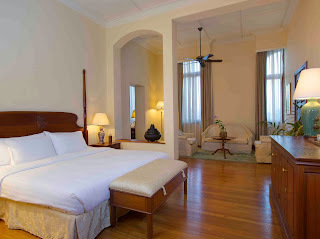 THE STRAND Hotel in Yangon (formerly Rangoon) in Myanmar (Burma) today. AN artist's rendition of the Hotel soon after it opened in the very early 20th century. THE Hotel's palatial lobby today: restored to its true architectural past. AND possibly many an inspiration here, too: the Strand Bar: a favourite of Prince Edward and Lord Mountbatten. FIFTY original rooms are now 30 king-size suites up to 65 sq metres.